The title of this article is a little misleading, as those of you who read my posts, follow me on Twitter or know me in person will know that I love Microsoft. Windows Phone is my phone platform of choice, I would never consider using anything but a Windows computer, and the thing that I want most in the world right now is a 15.6″ one of these. But even with all the love I bear for the love-child of Ballmer and Gates, there are a large number of things about them which annoy me. The first and foremost of these annoyances is with Zune. As a Windows Phone user, I am forced to use Zune in order to update, add music and video to and do a large number of other things to, my phone. This is fine, I can add and take away music to and from my phone quickly and easily, and updates will automatically commence if they are available. But when I got my HP Pavilion dv7 with Beats Audio, I began to play music through my laptop, whereas previously I had been using speakers connected to my phone. It soon dawned upon me that Zune, a beautiful piece of software, is one of the buggiest pieces of crap since Windows Media Player. Quite often while playing music, the song will randomly pause, move to a different point or just skip altogether, and on occasion I have closed Zune to find that the song that was playing doesn’t stop playing, much to my teacher’s dismay. When this is Skrillex, chemistry lessons can be quite awkward. What the hell is up with that? A company whom incorporated software into its very name can’t be bothered or is unable to iron out the bugs in their music software. Even iTunes, something which is essentially designed to work on a different operating system and much maligned on Windows, is nowhere near as buggy. This being said, with the Zune name being dumped, and the software being incorporated into the OS, I surely hope that for Windows 8’s sake that at least some of the bigger glitches will be ironed out. And secondly, what is the point in Windows Media Player any more? The whole thing is utter crap and nobody in their right mind would ever use it. I mean seriously, software that causes computers to blue-screen (I speak through personal experience) through use is not right in any way. And if any person out there does use this utter piece of crap, please explain to me in the comments below why you would put yourself through it. Please. My final point is the most obvious one. Internet Explorer. This is in every way the single most hated piece of software out there. It is crap, it crashes, freezes and is only there for sane people to download either Firefox or Chrome. And, to make matters worse, you have to have specific permission from Microsoft to be able to uninstall the software. Of course, you can do what both I and Xavier (our EIC) have done and bury it deep within our program files, but it will always be there, taunting you with the possibility that you may one day, have to use it. 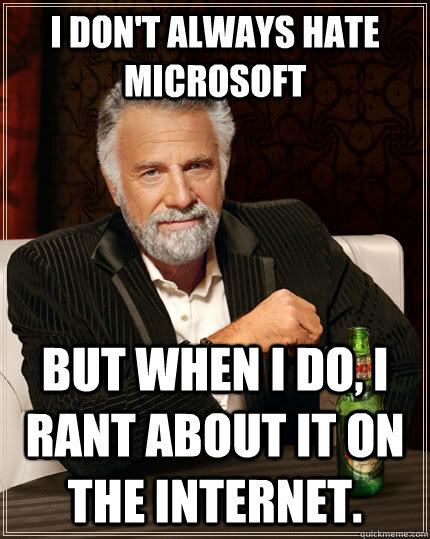 So those are the main reasons that Microsoft pisses off even myself, a true Microsoft fanboy. 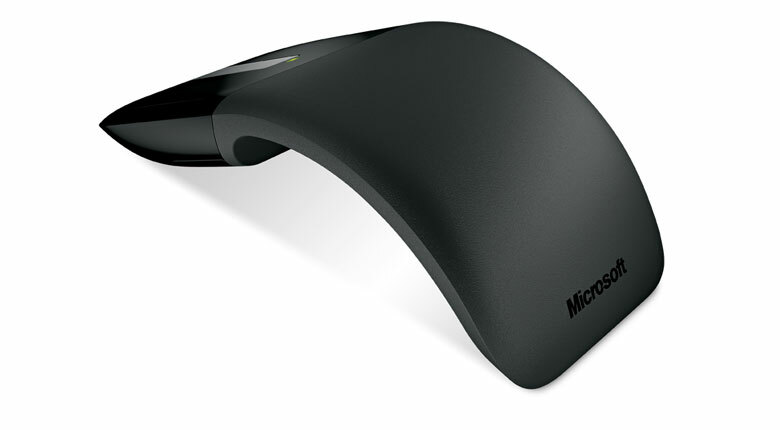 Despite the wonders of things like the Arc Touch Mouse, SkyDrive and Windows Phone, Microsoft isn’t perfect, but by ironing out the bugs and listening to consumers, they could get pretty close.